Leading Anti-Marijuana Congressman Changes His Tune. 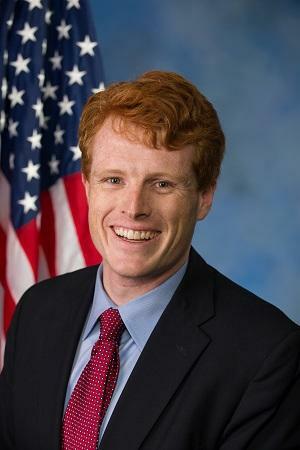 Rep. Joe Kennedy III (D-MA), a longtime staunchly anti-marijuana politician, has changed his tune. In an editorial in STAT News Tuesday, Kennedy came out for federally descheduling marijuana. "I believe we must implement strong, clear, and fair federal guidelines. To do that requires us to remove marijuana from the Controlled Substances Act (CSA) and legalize it at the federal level," Kennedy wrote, citing benefits to public health and racial justice. New Jersey Legalization Hearings Set for Next Week. After months of delay, marijuana legalization will finally get rolling in the state legislature. Legislative leaders announced Tuesday that separate Senate and Assembly committees are set to meet together next Monday for a hearing, with a vote expected that day. The bill is S2703. There is not yet complete agreement between legislative leaders and Gov. Phil Murphy (D) on some issues, particularly taxation, but Senate President Stephen Sweeney (D-Gloucester) said he didn't want to wait any longer. New York Legislator Forecasts Marijuana Legalization Next Year. Empire State legislators will move on marijuana next year said Assemblywoman Crystal Peoples-Stokes (D-Buffalo). She said that a series of public hearings on the issue have made two points: "One, that it really is time for the legalization of adult use and, two, that it also is the time to eliminate the records of these people, many of who are black and brown, that have been criminalized," she said. Greece Issues First Medical Marijuana Licenses. On Monday, Greek authorities issued the first two licenses to private companies to grow medical marijuana in the country. The move comes after the country legalized medical marijuana last year and then lifted a ban on growing and producing it in March of this year. Another 12 licenses will be issued by the end of this year, the Economy and Development Ministry said.